December 2017 – Mitch Thrower was recently appointed by the American Planning Association (APA) as the Public Member to the Planning Accreditation Board (PAB) for a three-year term beginning December 1, 2017. The PAB’s mission is to promote excellence among planning programs and to ensure high quality education for future urban planners through an accreditation process for educational programs leading to bachelors and masters degrees in planning. Accreditation is a means of providing formal recognition that a program measures up to the profession’s high educational standards and is therefore qualified to train its future practitioners. 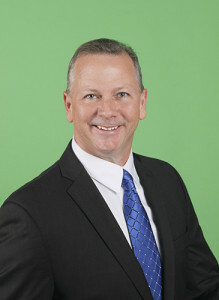 Mr. Thrower has represented Hillsborough County on the Planning Commission since 2011. During his time on the Commission, he has searved in many leadership roles, most-recently serving as Chair for the last three years. He currently works for the Hillsborough County Aviation Authority as their Senior Manager of Administration. Mr. Thrower is active with the national American Planning Association (APA) serving as the Region III representative on the APA Planning Officials Committee. He has received degrees from Tulane and Florida State Universities and is both a Certified Public Accountant and Certified Internal Auditor.